In the sauna, the profile of the walls in hemlock wood with the irregular repetitive pattern are a true Wolterinck signature. 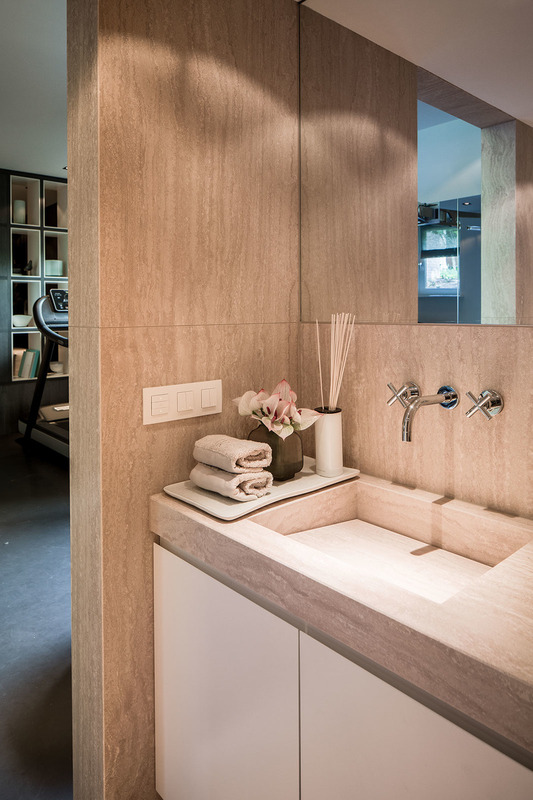 The combination of hemlock wood with the travertine natural stone of the floor creates a warm environment. 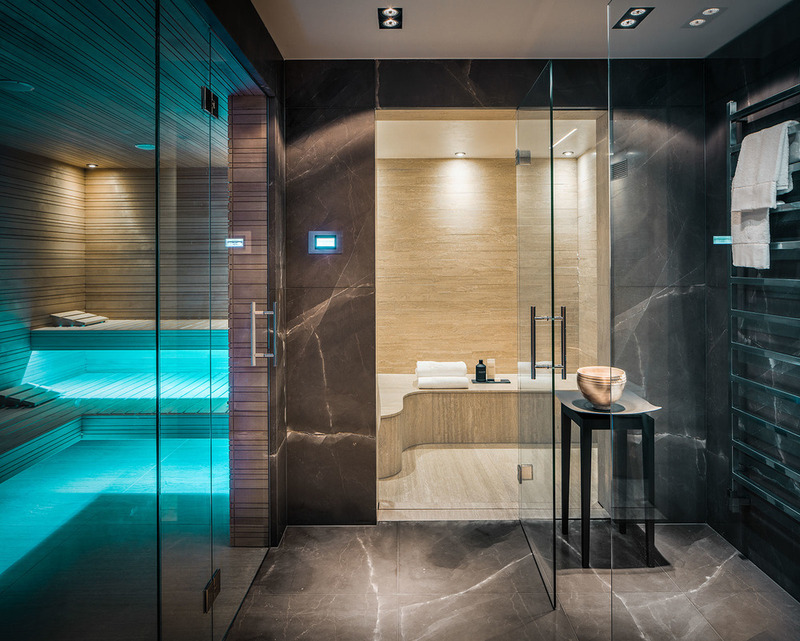 The minimalistic steamroom is also finished with travertine which is used in other surfaces of the villa’s interior design. Its curved bench adds a gentle tone to the area.